Horse Barn Designs from Horse Barn Builder L. Norman Adams Home Builders in Bushnell Florida Sumter County. L. Norman Adams Home Builders is a licensed and certified home builder and has been building homes in Sumter County, Citrus County, Hernando County, Pasco County, Lake County and Marion County for over 20 years. 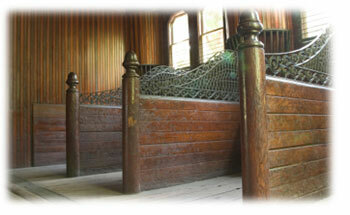 But did you know that L. Norman Adams also builds horse barns throughout west central Florida. Norman Adams reputation for quality construction, excellent customer satisfaction, and a stand behind everything they do mentality, has allowed this family owned business to earn the respect of the community as well as their peers. Norman Adams Home Builders can provide you with their own, meticulously thought out horse barn designs or work with you from your own sketches and ideas. 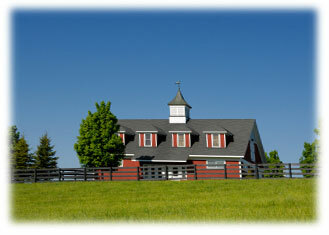 Norman Adams is a custom builders even when it comes to horse barns, tailoring each project to your specific needs. Norman Adams has designed and built thoroughbred horse training facilities for some of the most prestigious names in Ocala as well as small horse barns and horse stalls for the individual homeowner. No project is too big or too small. Norman Adams has any number of different horse barn plans to suit your needs and compliment your home, with any number of stalls and all the amenities you want. Norman Adams offers feed and hay storage, tack rooms, wash racks, bathrooms, laundry room, offices and apartments with center aisle or shed row style and with various elevations. Contact Norman Adams about their 4, 8, 16, 20 or 24 stall horse barns plans or to custom design your horse barn today. You will be pleased with the quality construction and customer service at Norman Adams Home Builders and the horses will be happy too!